2.5 meter wide round Parasol. Provides shade and protection with practical shelter for patio, beer garden and general outdoor use. 38mm wooden pole with 6 ribs. UV & shower proof fabric. Dimensions : 2.5 metre diameter. Material : Wood & Green fabric. 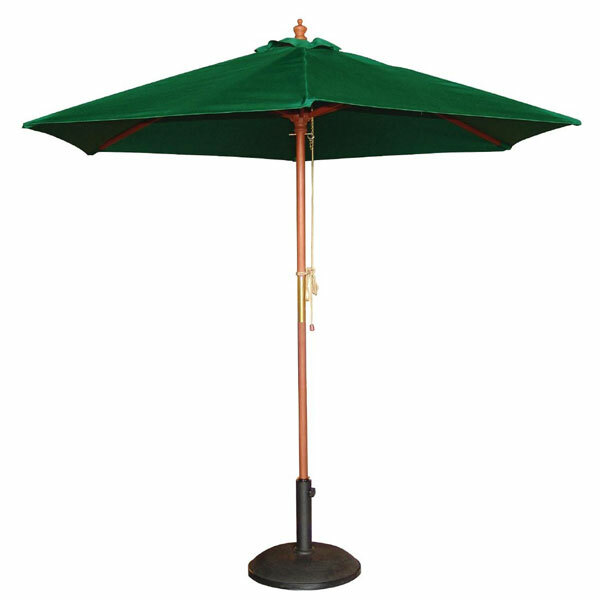 Please note that the Parasol Base (CD213) is sold separately.